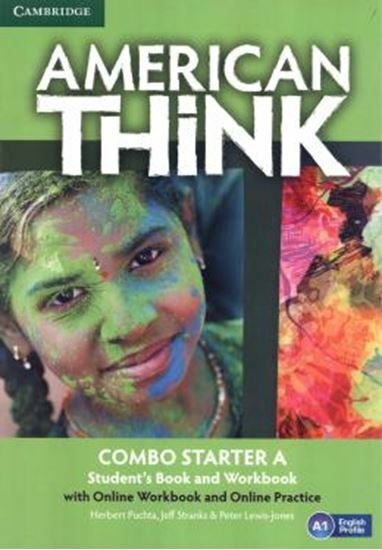 Whether inside or outside the classroom, American Think goes beyond building strong language skills to developing the whole learner - with an emphasis on critical thinking, values and self-esteem - ensuring academic and lifelong success. Key Features: Challenge and inspire your teenage learners with thought-provoking topics. Guided writing and speaking build confident productive skills. Culture lessons encourage students to talk about life in other countries and how it compares with their own. Think Exams pages and assessment-style activities prepare students for success at Cambridge English: Key, Preliminary and First. Graded Workbook activities and extra ideas in the interleaved Teacher´s Edition are ideal for mixed-ability classes. Flexible digital support includes Presentation Plus classroom presentation software, online workbooks and interactive ebooks. Teacher´s Edition includes lesson plans interleaved page-for-page with the Student´s Book content, audio scripts, answer keys, extra practice activities and tips for mixed ability classes.